Leading trainer Richard Lines’s Lisboa Star, did a sparkling workout at Selangor Turf Club today (Tuesday). Taken out by a track rider, the four-year-old by Hussonet did a canter on the first lap and then sprinted fluently over 600m in 38.5 seconds on a very tight rein. 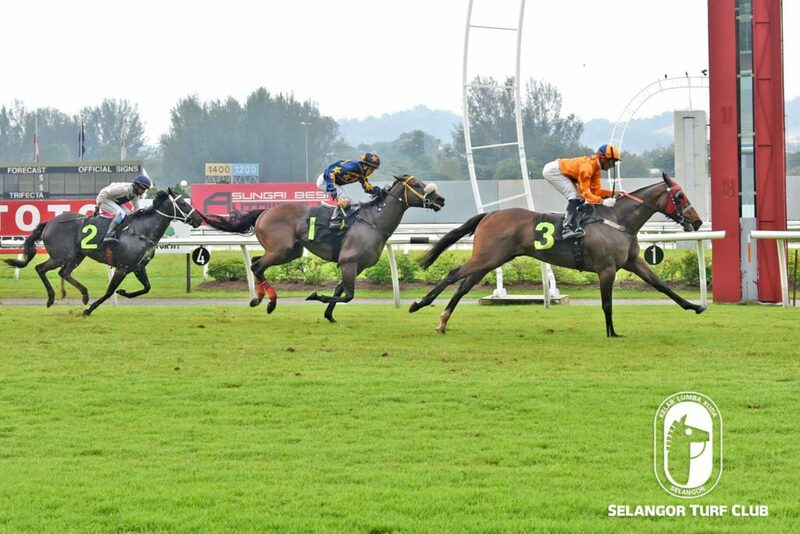 Last outing, Lisboa Star ran a fair sixth to Optimus in a Class 4 event over 1400m at Perak Turf Club last month. Based on the workout, Lisboa Star looks very fit and seen with a chance to greet the judges this time out in a Class 4 event over 1400m on Saturday. Class 5 – 1400m (Card 6): Beautiful Baby did a trot and galloped keenly in 38.9 seconds. Class 5 – 1400m (Card 7): Sayang Me did a trot and canter then did a fluent workout in 39.9 seconds. Class 5 – 1400m (Card 8): Happy Joy did a trot on the first lap and then reeled off stylishly in 37.9 seconds. Class 5 – 1400m (Card 9): Lim’s Ranger did a workout in 37.8 seconds. Open Maiden – 1400m (Card 11): Smiddy Byrne trot on the first lap and then sprinted keenly in 39.4 seconds. The going is good: All workouts were done on the No 2 grass track.